Categories: Concise Advice Series, Digital. Business is becoming increasingly project-based and our ability to manage projects has become one of the key skills for success as managers and business people. This compact guide, written by a leading project management expert, gets to the heart of successful project management. Project management is not complicated – many projects may be complicated, but project management itself is not. By following a set of simple rules and applying simple techniques, there will be no need for the expensive project failures that we often see. Moreover, as this book shows, projects can be significantly shortened by again using simple ideas and techniques. 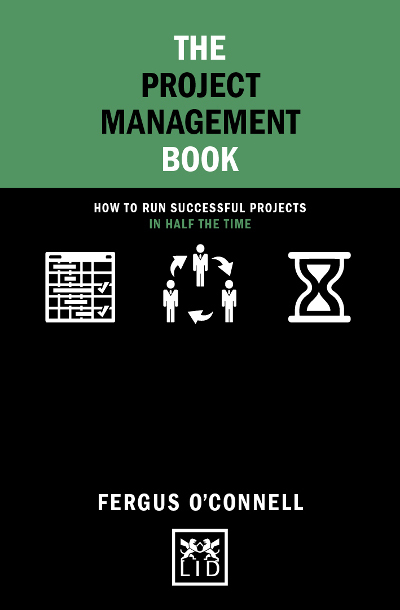 Anyone who manages projects will find this book helps them to save time, effort, resources, and money. How to manage any project successfully and on time. ● Key trend – business and work is increasingly becoming project-based today. ● This book is written by one of the leading trainers in project management. ● The book provides proven and easy-to-apply techniques that can be used by anyone managing a project.